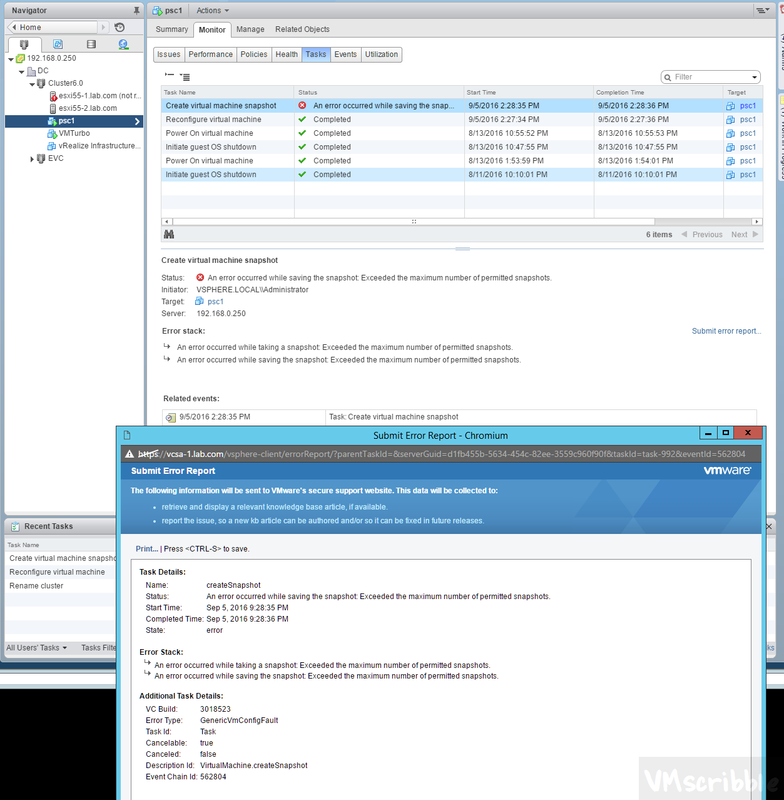 Certain teams are told not to take snapshot or certain VM’s or certain cluster. You do not want to work on new VC Roles to fix this. You want to do this while the VM’s are Powered ON. 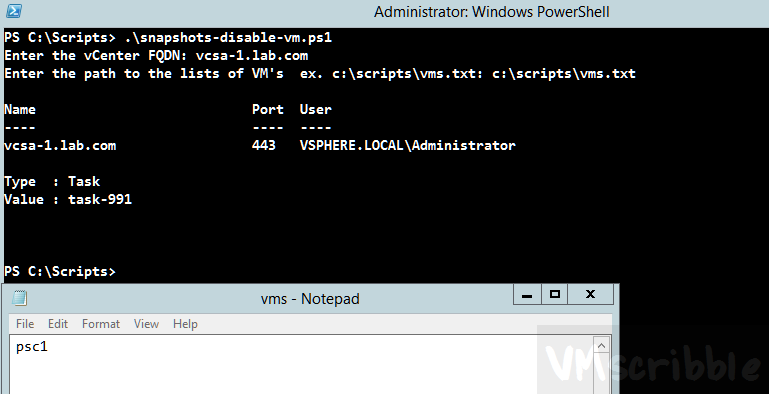 The script will ask for a text file of VM’s or Cluster Names. You can edit line 19 from zero to say 4 if you want to re-enable snapshots. The default is 32.
psc1 is the powered on VM in my text file. Success! An error occurred while taking a snapshot: Exceeded the maximum number of permitted snapshots. # Thanks https://communities.vmware.com/thread/412899 for most of the code. $vCenter = Read-Host "Enter the vCenter FQDN"
$listofvms = Read-Host "Enter the path to the lists of VM's ex. c:scriptsvms.txt"
# Set max snapshots to zero. $listofclusters = Read-Host "Enter the path to the lists of clusters ex. c:scriptsclusters.txt"